The ProPlus™ Suspension Trauma Relief Strap is designed to reduce the risk of suspension trauma and help alleviate harness pressure. It comes complete with two compact, lightweight packs that easily attached to the left and right sides of a full body harness. 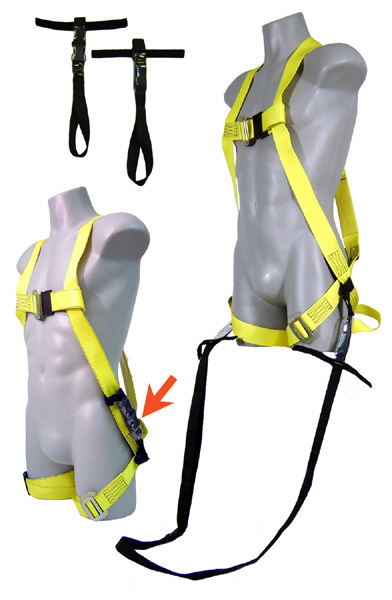 The ProPlus™ Suspension Trauma Relief Strap is used in conjunction with a full body harness and a complete fall prevention and rescue program. It can be attached to most harness sizes, brands and styles.